Thanks to Article 35A, I — a female permanent resident (PR) of Jammu and Kashmir— am not equal to a male permanent resident (PR). I am inferior as I have lesser rights. This discriminatory interpretation of the state subject law is based on gender. A male permanent resident of J&K can marry a non state subject and not lose any rights. In fact, his non state wife gains state subject rights, as do his children. Many Kashmiris have Pakistani wives who attained state subject rights upon marriage, as did their children. 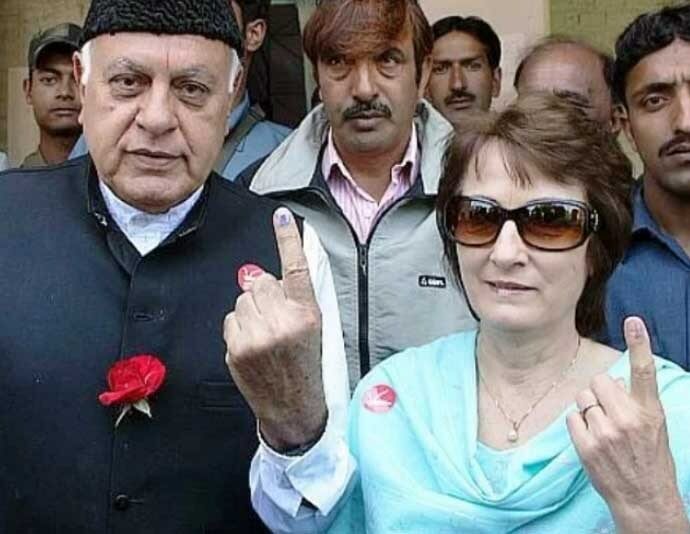 Former chief minister and National Conference leader Farooq Abdullah married a British woman, Molly, who went on to acquire state subject rights, as did his children. Farooq Abdullah’s son, Omar Abdullah, also went on to become the CM of the state and his children have inherited the state subject rights without any hiccups. Contrary to this, a woman from J&K who marries a non state subject is punished — she loses many of her state subject rights. Her husband and children are disbarred from acquiring the state subject status. Her children cannot inherit her property, cannot get entry into government colleges, cannot get government jobs — and cannot vote. A friend married to a non state subject, an army officer serving in Kashmir currently, has lost her full state subject rights. This friend, being a single child, is the sole caregiver to her grandparents and ageing mother. She lives with them in Jammu and with her girl child. A girl child who has lost her inheritance and state subject rights because of the gender discriminatory Article 35A. The Kashmiri leaders are proudly fighting tooth and nail to protect this discriminatory and inhumane article. They are united in their aim to keep the women of J&K unequal despite this being in clear violation of Fundamental Rights. 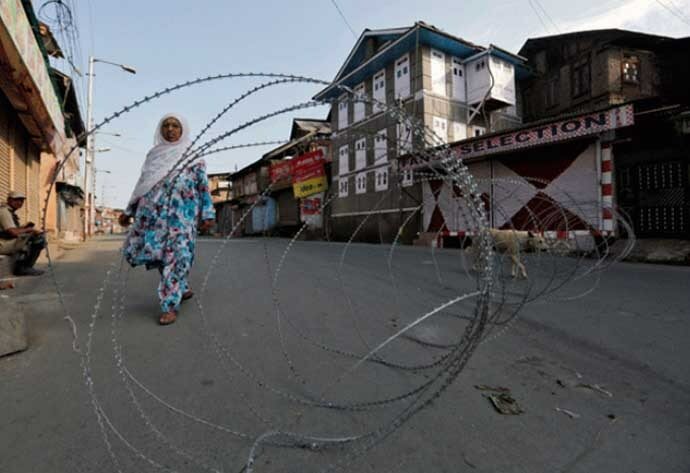 Kashmiri leaders, in fact, have threatened an uprising against the Indian state if women are granted equality in J&K. This happens in the name of protecting the 'special character' of the state. The narrative of the Kashmiris, which slyly tries to pass the responsibility of this unfair article to the Dogra Maharaja, is false. The Dogra Maharaja’s state subject laws reportedly make no distinction between men and women. His law had an enabling intent. It outlined apparently that the descendants, irrespective of gender, inherit the permanent residence status of their father as long as they are a citizen of India. What is inherited is never acquired and it cannot be lost unless a positive disqualification is mentioned in the statute in question — and no such positive disqualification exists. There simply is no disabling provision of a loss of status of PR by the descendants of PRs of the state, either son or daughter. It was on April 20, 1927 that the enabling, non-gender discriminatory, state subject law of the Maharaja came into effect. In fact, the original rule of the Maharaja also provided for a person with 10 years of residence in the state to acquire the PR. The Kashmiri government, however, made the date static and said no one coming after May 14, 1954, would be given PR status — this clearly discriminated against the Sikh and Hindu community, the west Pakistan refugees and Dalits. Article 35A is different from the original state subject laws of 1927 and the genesis of this Article is the J&K Constituent Assembly sessions of 1954. It came to effect on March 25, 1969, 42 years after the state subject laws were made. 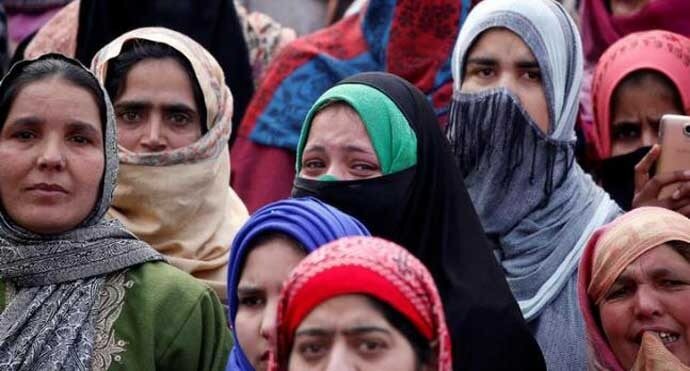 Orders were given to all revenue officers and district commissioners by the then-Kashmiri government to stamp ‘valid until marriage’ on the state subject certificates of women of J&K — this instantly stamped women as lesser than their male counterparts and less deserving of equal rights. This arbitrary and illegal interpretation of law effectively — and within minutes of my marriage to a non state subject — robbed me off my rights and my inheritance. Then why am I not equal to the male permanent residents? Article 35A hence, in my view, is an unconstitutional and totally arbitrary interpretation. Moreover, to create confusion, a false and illegal narrative was maintained for 33 years wherein women were made to believe that they lost their state subject status upon marriage to a non state subject. This continued till in 2002, the High Court in the Susheela Sawhney case, demolished it, reinstating the state subjects of women married to non state subjects. It is ironic indeed that the Kashmiri leadership headed by a woman herself, Peoples Democratic Party (PDP) leader Mehbooba Mufti, tried to challenge this High Court decision by apparently introducing the Women Disqualification Bill in the Legislative Assembly not once but twice in 2004 and 2010. I harbour no false notions or expectations of a sense of justice and equality from Kashmiri leaders who pride themselves on a ‘character’ and ‘Kashmiriyat’ which blatantly discriminates against women and wants them to remain unequal to men. The educated and elite Kashmiri women, enjoying positions of power and influence, in Srinagar are no better — they can whip up an effective social media campaign — as they recently did — when they believe their right to wearing their traditional dress ‘pheran’ is threatened, but they will not speak up for equal rights for their state’s women and Dalits. They take double standards to epic heights. I also have a deep sense of fatigue of political parties who make the abrogation of this article part of their political manifesto, garnering votes elsewhere in the country, in my name and in the name of the women, Dalits, and west Pakistan refugees of J&K — but then fail to keep their promises. I will, however, call out the feminists. I will question those who have made women’s rights their full-time occupation. Why have they turned away from this pressing issue and in fact, won’t touch it with a barge pole? Recently, at Patna airport, I heard two women discuss the issue of gender parity in clipped English accents. Recognising one thanks to her shock of short-cropped grey hair, as a famous Delhi-based ‘developmental feminist activist’ and poet, I brought up the issue and asked her younger colleague why no feminist speaks up for the equal rights of the J&K women. The younger colleague immediately pleaded ignorance. But her more famous counterpart, who has been invited to give lectures in University of Jammu, who I believe could not hide behind a similar excuse, proceeded to ignore me as if I was the black plague personified. 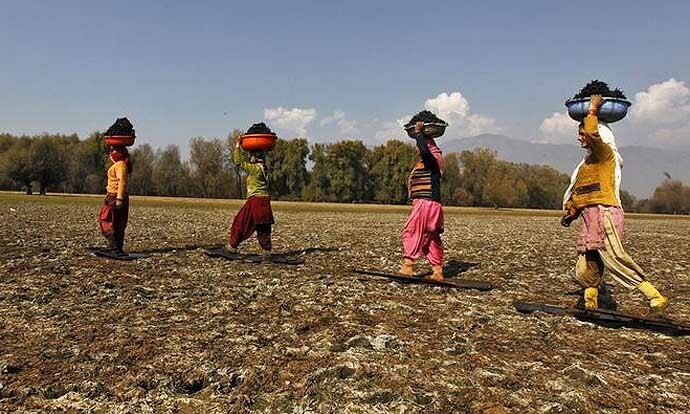 The state of J&K in 2019 is fighting to preserve a regressive idea which pre-dates 1914 — the idea of women’s domicile being dependent on matrimony. This same dependent domicile status of a wife was termed as the “most barbarous relic of a wife’s servitude” and changed in 1973 via the Domicile and Matrimonial Act in UK. All over the world, feminists saw this dependent domicile status as objectification of women. If an unmarried woman was free to choose her domicile, why not married women? They hailed the Domicile & Matrimonial Act of 1973 Act as progressive. In stark contrast, the silence of the feminists of India is deafening. They have spoken against Khap panchayats of Harayana not allowing women to choose the man they would like to marry and also spoken vociferously for the freedom of choice in inter-faith marriages. Then, why is it that they remain silent when the idea that a married woman not being as free as her male married counterpart is being propagated by the state machinery in J&K? Their silence is an admission of collusion. I have also not heard any of my social worker and development activist peers from my alma mater, Tata Institute of Social Sciences, Mumbai, speak up for equal rights of women, Dalits and refugees of J&K. Is it then a surprise that it makes me suspicious of these rights activists? What stops them from gathering at Jantar Mantar to demand equality for the women and Dalits of my state? Why is their activism conditional and agenda-driven? India is a signatory of the United Nations General Assembly’s (UNGA) Convention on the Elimination of All Forms of Discrimination Against Women. Yet, India has allowed this gross discrimination against women to continue. This discrimination could be the character of Kashmiri leaders. How could this be the character of the entire nation?